The original Broadmeadows aka "Old Broady" is now known as Westmeadows, which lies to the west of the present Broadmeadows. 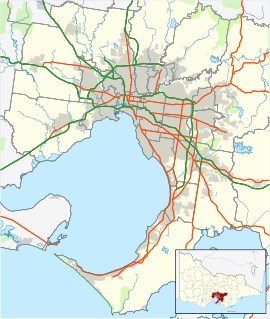 The first Broadmeadows township was laid out by a Government survey in 1850. Ardlie Street was its commercial centre with a hotel (the Broadmeadows Hotel, now Westmeadows Tavern), the police station and the shire office (the District Roads Board Building,[permanent dead link] opened in 1866). This page was last edited on 15 December 2018, at 02:14 (UTC).